Sedona is one giant colorful palette where homes and businesses appear as organic parts of the surrounding cliffs, woods and red rock mountains. Even better, Sedona AZ homes are designed to bring the outdoors in so that at every angle the landscape's majesty is within your immediate view. At sunrise, light streams in, ever changing across walls and floors as the day progresses. And your home and yard become your personal vacation resort. People from throughout the world come here for the stunning natural beauty. They come to escape. They come for the privacy. They come for the glorious four-season weather. They come for mental and spiritual renewal. And we all do everything we can to keep Sedona the jewel of the Southwest so that visitors and residents alike can relax and enjoy it. Sedona's breathtaking rock formations have inspired artists of all mediums, including the late Walt Disney, who named his most famous ride at Disney Land after the rock formation known as Thunder Mountain. Further enhancing these geological masterpieces is Coconino National Forest, which surrounds Sedona real estate. The forest is over one million acres of varied terrain and wilderness preserve for your hiking, biking, equestrian and aerial exploration and adventure. Historically, homes that open onto the national forest or state land are in greater demand. This is because of the privacy and views they offer and the free access they give to experience nature's wonders right outside their doors. Magnificent junipers, firs, pines, desert succulents, marigolds, poppies and datura engage flora enthusiasts. Over 150 bird species enchant watchers. And wildlife such as mule deer and javelinas keep camera takes rolling to the sound of wolves howling in the distance. In these and other Sedona homes, even the most mundane daily routines have luster because of the surroundings. Exclusive hilly Uptown Sedona has lush woods and a historic feel. It blooms with art galleries and high-end shopping. West Sedona is newer and chic, with more retail centers, movie theaters and a private airport. 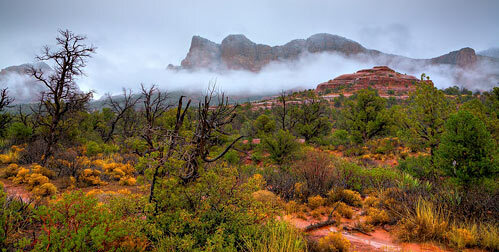 With no commercial flights, Sedona's skies are kept quiet and undisturbed. 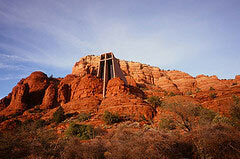 The Chapel Area is named for the architecturally spectacular Chapel of the Holy Cross built high into the red rocks. Lower Red Rock Loop Road is farther out of town, eclectic with a mix of high-end and moderately priced homes. These homes are on wells and usually have bigger parcels of land. Oak Creek Canyon has towering sheer cliffs with the creek running through. During autumn, it's an explosion of color. And the Village of Oak Creek is the unincorporated area of Sedona. It's also known as Big Park and is where you find beautiful golf course homes among others. 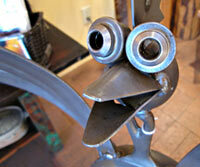 Offering sensory delights in every direction, Sedona is an artist's mecca. Annual jazz, film and arts festivals celebrate this unique and enchanting place. 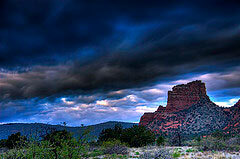 And metaphysical energy is said to flow from Sedona's many vortexes, or points of intense spiritual energy. This makes Sedona the #1 vacation destination in the U.S. for those seeking spiritual renewal. But believer or skeptic, you'll find yourself deeply moved by the creation that is Sedona. Our lives changed the day Barbara Baker responded to our e-mail. Barbara took our dream and made it her mission to see that dream come true. She always made herself available to us and seemed to have every relevant person we needed to talk to in the Verde Valley on her speed dial. With Barbara you get her knowledge, experience and tenacity as well as her uniquely charming and warm personality that lets you know you're in good hands through the whole process. She is the only agent we would recommend to friends and family. So, email me or call me at 928-301-0669. I'll get back with you sooner rather than later. This you can count on.